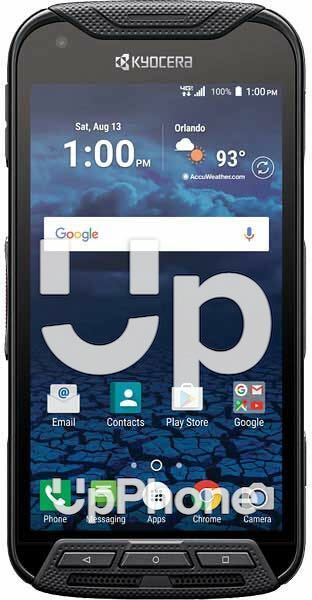 Kyocera DuraForce Pro Price, Review, Deals, Cost, & Sales! Home / Compare Cell Phones / Kyocera DuraForce Pro Price, Review, Deals, Cost, & Sales! The Kyocera DuraForce Pro is built like a rock, able to withstand rough handling and extreme environments while retaining smartphone features. This phone features a shatter resistant 5" IPS LCD 16 M color screen with 1080 x 1920 pixel screen resolution. In comparison, the Sonim XP8 has the same screen specification except for the Corning Gorilla Glass 3 that the DuraForce Pro doesn't have. It comes with a 13 MP rear camera with Super Wide View and is capable of recording HD videos @ 30 fps. It also has a 5 MP front-facing camera for some extreme adventure selfies. This device has a 32 GB onboard drive with support for up to 256 GB expansion slot via microSD. While the Sonim XP8 has the bigger 64 GB internal capacity but supports a smaller 128 GB expansion slot. The Kyocera DuraForce Pro rocks an awesome dual front-firing stereo speakers located at the bottom. It gets very loud, clear and is well capable of being audible even in noisy environments. It has a fingerprint sensor located at the right side of the phone which doubles a power button as well. The location is ideal as you can unlock and use the phone with one hand only. This device runs on Qualcomm MSM8952 Snapdragon 617 Octa-core (4x1.5 GHz Cortex-A53 & 4x1.2 GHz Cortex-A53). It may not be the fastest one in the market but is definitely not slowest either and it gets the job done. The Sonim XP8 has the higher Qualcomm SDM630 Snapdragon 630 Octa-core 2.2 GHz Cortex-A53 chip. Powering the device is a 3240 mAh battery which is already big for a phone with 5" display screen. It can carry a conversation for up to 19 hours and lasts for up to 480 hours on standby. Lastly, it does have quick charge capability. This phone is rated IP68 making it dustproof and water-resistant. It can survive underwater for depths of up to 1.5 meters for 30 minutes. The Kyocera DuraForce Pro is built for the adrenaline junkies. This device is impact resistant and has a MIL-STD-810G rating. It has a push-talk feature. Has a number of camera features like time-lapse and slow motion. Features a shock resistant display.